Further up the coast along the A39 towards North Cornwall, the Hartland Peninsular boasts an incredible landscape in an Area of Outstanding Natural Beauty. The peninsular is also home to the Shipwreck and Smuggling Museum, Hartland Point and Lighthouse, Hartland Abbey & Gardens, Hartland House Spa, plus fabulous food and drink at The Docton Mill Gardens and Tearooms. This is a great trip by either boat or helicopter. Lundy sits about 11 miles offshore into the Bristol Channel, it is 3 miles long and is about a half mile wide. There are three lighthouses of which two are still working, a castle, a church, a shop and lastly a good tavern. The boat trip on the MS Oldenburg either from Bideford or Ilfracombe is an excellent way to get to Lundy. Remember Lundy is famous for its nesting Puffins. Appledore is a very old fishing village close to the mouth of the River Torridge. 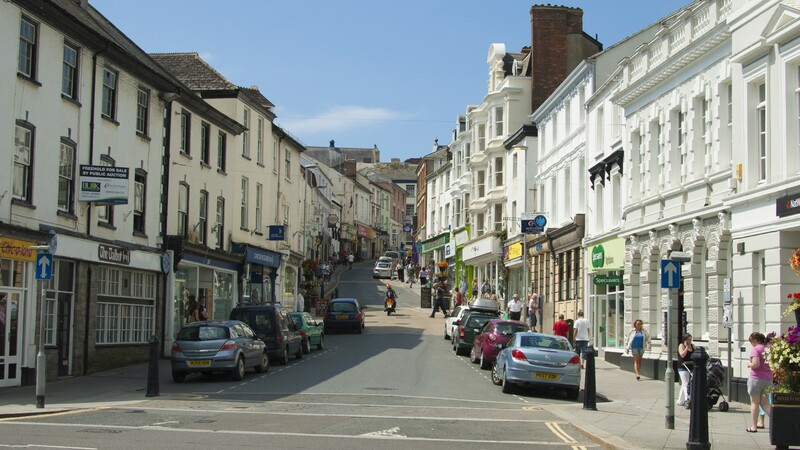 Walk the narrow streets and you will discover many art and craft galleries, with lots of nice places to eat, including a first-class deli, and of course this is home of the famous Hockings Ice Creams not to be missed. Three places to visit are the marine museum, the lifeboat museum and the Gallery marine, which is run by Audrey Hinks. The Hinks were boat builders and were renowned for building replica sailing ships including the Golden Hinde and the Matthew. Westward Ho! Is well worth a visit, with a truly great beach for the family but also for the surfers. If you want to learn to surf (or even kite surf), this is the place to give it a try. Get in touch with the North Devon Surf School (https://www.northdevonsurfschool.co.uk) based in Westward Ho! for more information on lessons available for all ages and levels of experience. It takes 20 minutes to get to Instow, where you’ll find a good sandy beach and a promenade lined with good quality pubs, bars and restaurants serving excellent local ales and locally-sourced meals. Johns of Instow (the most amazing deli and cafe), the Instow Arms, and the Waterside Gallery are a few of the favourites. This beautiful North Devon village proudly sits on the estuary where two rivers, the Torridge and Taw meet. Opposite Instow, across the estuary is Appledore, which you can enjoy a trip on the historic Appledore-Instow ferry, which takes visitors back and forth from April through to October. Great Torrington has loads of history with a notable Roundheads & Cavillers battle in 1646 - be sure to visit the 1646 exhibition. Henry Williamson also wrote his world-famous book “Tarka the Otter” here in the 1920’s. Today, it is home to a wealth of independent local shops, a pannier market, good quality pubs, RHS Rosemoor Gardens and Dartington Crystal (see our attractions page to find out more about these). North Devon’s largest market town has a historic pannier market dating back to 1855 and is still very much in use day with regular food events, and various markets taking place on a daily basis. There is a multi-screen cinema, a large 700 seat theatre, plus plenty of shops, supermarkets, restaurants, pubs and cafes. On the outskirts of the town there is a leisure centre and a trampoline park.